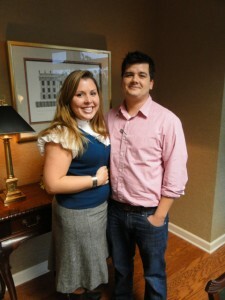 I loved working with Matt and Stafford on the purchase of their first home. They were looking for a brick ranch with basement and a good backyard. We found the perfect home in a great neighborhood called Derby Hills in the North Buckhead/Brookhaven area. Here’s what Matt had to say – Becky was a phenomenal help throughout the process of buying my first home. Her knowledge of the areas, and things that would potential come back to bite me in a certain house or area were pointed out. She was always on time, and was simply a pleasure to be around for hours at a time. Highly recommend for anyone serious about finding the house of their dreams and making it a reality.